Looking for an explanation to what is APR and APY in your student loan applications? Look no further as we have all your questions answered in this article here. Annualized percentage yield or APY of a loan is a sort of a calculation that reflects the interest that is earned from the previously accumulated interest. Whereas, annualized percentage return or APR for short is a much simpler figure that does not take into account the compound interest that accumulates on a loan. Hence, there occurs a discrepancy when banks and credit unions use APR and APY for various purposes in their marketing. The APR or annualized percentage rate is determined by the product of the periodic rate and the number of periods in each year. This a very simple calculation that gives us an estimate on the rate of interest that is accumulated over one year, but sadly does not account for the additional sums that might be earned by previous interest payments, which is a process called compounding. A loan that charges the borrower an interest rate of 1.00% every month. The APR of this specific loan would come out to be 12*1.00% which is 12.00% but would be different from a loan that is earning 12.00% once in 12 months. Hence, the loan which is compounded monthly will accumulate a much higher interest rate than the loan that is compounded annually, therefore the two have the same APR because the compound interest is not included here. In many cases, you can expect to be paying a rate that is actually higher than the APR that is mentioned for the loan or credit account. The more often that this loan interest is compounded each year the more the APR will drop short of the real interest rate. So now let's consider the APY or annualized percentage yield and how it differs from the APR of a loan. Here the loan includes the amount that is earned from compounding the interest. In theory, a loan that earns 1.00% interest monthly will yield an APY of about 12.68%, which is a slightly higher figure that its APR which at the same time would be a solid 12.00%. It again demonstrates the difference between the two that APY not only calculates the interest rate that is earned by the initial amount of the loan (Principal) but also the accumulated interest that is taxed again with interest. This is in effect nothing but the interest that is accumulated every month being added to the principal of the calculation for interest that is accumulated the next month, in essence, your interest accumulated also adds value to the interest that is accumulated the next month. How do banks use APR and APY? 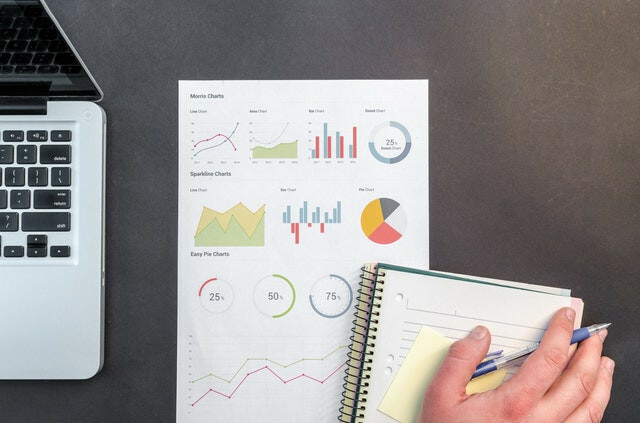 While looking through the different types of loan accounts, credit cars offered by banks or credit unions you will find most often that the interest rate that is used to estimate or describe it most of the APR. Whereas, the APY is commonly attached to that where the customer is trying to earn interest as a lender. For example - Let's take a customer who is trying to put money into savings accounts and cash deposits, these will always be described using the APY in terms of earning potential since customers are seeking to earn the highest possible rates from their money. So now the question comes about APR, here the APR earns a lower interest rate than what is actually paid for in the end. So, banks often use it to market their products in which they are looking to pay the least interest possible such as credit card agreements, mortgages and personal loans. According to the Truth in Lending Act of 1968 which sets the bar on how lenders like banks and credit unions are allowed to sell their products by marketing them under the guidelines. This law is to protect the customers by enabling a direct comparison of all their similar products available in the market so as to prevent any deceptive or overly complicated presentation of interest rates. For example - By having all the savings accounts use APY as a common measure to help determine the best for the customers. The major difference being the way the interest is calculated between the APR and APY methods, this difference tends to grow far more distinct when the interest that gets compounded is calculated more often. Let's see the effect of compounding a loan with APY which was marketed with an APR of 10.00%. Although the outcome of 0.47% might seem a small amount on its own, some loans such as home mortgages and more, which can involve hundreds of thousands of dollars accumulating interest over a couple of decades. So based on this we can concur that both the amount and the time period of the loan can magnify this effect of compound interest which can lead to it building into a significant force with significant weight on your financial plans. Although compound interest rate adds cost to a loan, the constant effect of inflation acts in a completely opposite direction as the currency loses value over time and more and more dollars are needed to purchase the same goods or services, the money in a loan tends to lose its value. Know the effect that inflation has on an interest rate of a loan results in a term or figure we like to call the real interest rate, which is usually anywhere between a lender's marketed interest rate which is named as the nominal rate and the actual rate of inflation. This nominal interest that is mentioned by the lenders can either be an APR or APY type, where usually the APY types will tend to be slightly more of accurate estimation. If the annual interest rates are estimated to be around 1% then a 1-year loan which consists of an APY of 10% will earn you a real interest rate anywhere around 9%. This gives a real figure that when the lender has profited from the interest on the loan, the end product of the purchasing power capacity of that profit has reduced due to the inflation of the currency that is in use. Although through the above-mentioned method, one is able to deduce to a certain extent the real interest rate that one will end up paying. 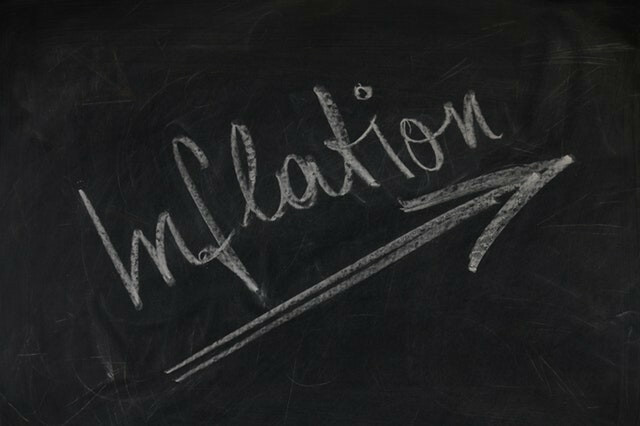 It is difficult to predict or estimate the future rate of inflation over the course of a loan term. But calculating this real interest rate has its uses in the matter that if you are a lender and trying to determine if a certain investment you're trying to make is worth taking and if and when it might return yield to you. 1 - What differentiates an APR from interest rate? The interest rate is defined by the cost of borrowing based on the principal loan amount. The APR, on the other hand, is a general measure of the cost of a loan because it includes the interest rate and other costs and expenses such as fees, discount points, and some closing costs and is mentioned in terms of a percentage. 2 - Is APR more important than interest rate? The interest rate is the price you will pay every year while you remain a borrower, which is put in terms of a percentage rate. It involves no other fees and charges that you may have to pay for the loan and for this reason your APR is commonly much higher than your interest rate. 3 - Do you want a low or high APY? A higher APY when you are considering savings accounts means you are earning a higher rate of interest for the amount that sits in your bank account. APY will also give you a good estimate of the interest that you will earn. The use of this can be put in ways such as allowing you to choose which banks are the best for you and whether or not you would want to choose to lock away your money in cash deposits for a much higher rate. 4 - Does APR include compound interest? APR is usually just related to the amount of money being borrowed be it a credit card or a mortgage, but it also includes any fees that are associated with the loan but then again simple interest rate does not include those fees. APY or annual percentage yield is a rate of return of an interest rate where it is considered as compound interest. 5 - How does APY work on checking account? APY or annual percentage yield is the amount of interest that is earned on your bank account in a single year where the interest is compound interest, meanwhile, the interest earned is based on both the money put into the account and also the interest that is already accumulated over time. Hence, the higher a savings bank account's APY, the better it is and many banks these days offer an APY above 1.50%. 6 - What is good APY? Most savings account have a lowly 0.06% APY or annual percentage yield or interest, and most of the nation's biggest banks pay you rates as low as 0.01%. But there are some accounts which actually pay up a good yield of up to 1%. 7 - Is APR monthly or yearly? APR for short explains in good terms the costs of borrowing and it's very useful for credit cards and mortgage loans. It usually quotes your costs as a percentage of the loan total that you are required to pay every year. For example, if your loan consists an APR of 10% you would pay about $10 for every $100 you borrowed annually. 8 - What is the difference between rate and yield? What differs between interest rates and yield is that each of these terms refers to a different financial instrument. Yield is usually referred to as the dividend, interest or return that you receive from security like stock, a bond from your investor and is usually reported annually. 9 - What is a good APR for a loan? Most often personal loans can make you a better offer. Rates from most personal loans for anyone with a good FICO credit score, falling between 690-730 ranges between 5.5% and 9.3%. That's 7-10 point difference in rates based on the usual averages.